Every year, there is a huge number of different events are held in the world; they are aimed at the development of technology and the exchange of experience among professionals in various fields. Participation in such exhibitions, conferences, and seminars is not only useful for participants but also allows you to make successful business acquaintances. In addition, we should not forget how important is credibility and, in particular, in real estate. 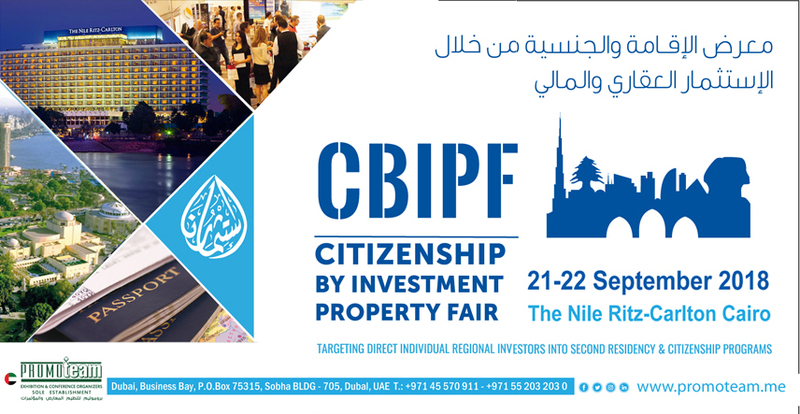 In 2018, Grekodom together with partners MBGcs will become a participant in the Cairo real estate fair CBIPF 2018, which will be held on 21-22 September in Cairo. Information about new products and interesting offers in Greece will be posted on the stand of Enterprise Greece. This is a significant event for Greece. Especially considering the last 8 years, during which the country recovers after the economic crisis, which, although it caused great damage, became a great stimulus for development in almost all spheres. All participants of the fair will be able to get advice on the acquisition of real estate in Greece and Cyprus. Also one of the topics, definitely, will be the procedure for obtaining the residence permit in Greece on the basis of investments. It has been actively developing for several years and attracts more and more willing to invest in the economy of the country every year in exchange for favorable conditions for obtaining a visa. Within the framework of the fair, presentation of new investment proposals will be held in Athens and Thessaloniki. Specialists of Grekodom will be happy to answer all questions concerning investments in real estate in these two largest Greek cities. In connection with participation in CBIPF 2018, a large-scale advertising campaign will be held. The place where the fair will be held is the Nile Ritz-Carlton Hotel in Cairo. This 5-star hotel will be an excellent location for such an event. It is in such a luxurious exhibition center that it is easy to provide a comfortable atmosphere for information exchange and to get acquainted with the optimal investment options. The Nile Ritz-Carlton has a rich heritage of tradition and luxury. The famous hotel is located overlooking the Nile River. So all holidaymakers and business travelers will have the opportunity to communicate in the heart of Cairo. The hotel offers world class services. Among the many amenities in it are more than nine excellent restaurants and bars, a luxurious SPA-center and unprecedented service. The exhibition, which is designed to present to the modern world of novelties in real estate and investment, consists of several daily seminars. At each of them, all participants will have a unique opportunity to communicate with professionals in this field, share their experience, and possibly find business partners for future transactions.